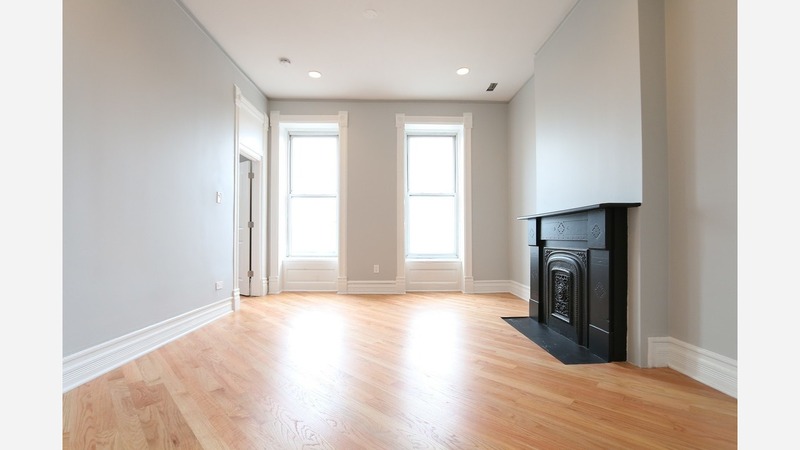 What will $1,400 rent you in Chicago, right now? We've rounded up the latest rental listings via rental site Zumper to get a sense of what to expect when it comes to hunting down a rental in Chicago with a budget of $1,400/month. Next, there's this one-bedroom, one-bathroom apartment over at 2717 N. Pine Grove Ave. It's also listed for $1,400/month for its 800 square feet of space. The building offers assigned parking. In the light-filled apartment, there are high ceilings, fresh paint, wooden cabinetry and hardwood, carpet and tile flooring. Assigned parking costs $125 per month. There is a $150 move-in fee. Heat is included in price of rent. Cats and dogs are not welcome. Per Walk Score ratings, the area around this address has excellent walkability, is very bikeable and boasts excellent transit options. Next, check out this studio apartment that's located at 428 W. Surf St. It's listed at $1,400/month. When it comes to building amenities, anticipate on-site laundry. In the unit, you'll find hardwood floors, a dishwasher, ceiling fans, stainless steel appliances, granite countertops, wooden cabinetry, large windows and extra storage and closet space. Heat is included in the price of rent. Attention, cat owners: your kitty is permitted here; sorry dog lovers, no pups allowed. Listed at $1,400/month, this zero-bedroom, one-bathroom apartment is located at 3600 N. Lake Shore Drive. The building boasts on-site laundry, garage parking, shared outdoor space, a fitness center, a roof deck, an elevator and on-site management. In the unit, you can anticipate hardwood floors, a dishwasher, stainless steel appliances, wooden cabinetry, granite countertops, new vanities and light fixtures, extra storage space and a new electric system. Sorry pet lovers, animals are not welcome here. According to Walk Score, the area around this address is friendly for those on foot, is quite bikeable and boasts excellent transit options. Next, there's this one-bedroom, one-bathroom apartment located at 1942 S. Carpenter St. It's listed for $1,400/month for its 800 square feet of space. Building amenities include keyless entry. In the light-filled apartment, there are hardwood floors, high ceilings, a dishwasher, in-unit laundry, recessed lighting, wood trim and moldings, an eat-in kitchen, stainless steel appliances, granite countertops, wooden cabinetry, a large living room, a shower with a glass door and central air conditioning and heating. Tenant pays gas and electricity; one year lease minimum. Neither cats nor dogs are welcome. Walk Score indicates that the surrounding area is extremely walkable, is easy to get around on a bicycle and has good transit options.